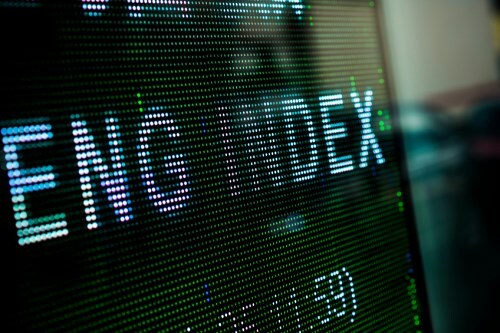 The main index of the TSX closed with a slim loss Tuesday as 8 of its 10 sectors declined. Only energy and telecoms advanced. Oil prices meanwhile slipped as doubts increased among analysts and investors over whether a deal to cap output; verbally agreed by OPEC and now apparently backed by Russia; would actually happen and if it would have the desired impact. Despite the easing of oil prices, they remain at their highest in around a year. Wall Street lost ground as the US dollar gained and equities tumbled with the 3 main indexes all down by more than 1 per cent, exacerbated by the slip for oil and a health-care sell-off. European markets were impacted by miners while Asian indexes closed mixed. The long-time head of investment banking at TD Bank has announcement his retirement. Pat Meneley will leave in January after a 20-year career at TD including 15 in his current role. Robbie Pryde, another TD veteran who joined 16 years ago, will succeed Mr Meneley, taking over the role as head of corporate and investment banking next month to allow a handover period with his predecessor. Meanwhile, sales and trading responsibility at TD’s investment banking division will become the domain of Moti Jungreis. Brookfield Asset Management is reportedly considering the acquisition of Performance Sports. The company behind Bauer and Easton has been in turmoil this year having delayed the release of its financial report and then facing a probe by regulators in Canada and US. Its stock has seen a sharp drop in value. Brookfield already has a 13 per cent stake in Performance and is its second largest shareholder. “Until such time as it is appropriate to make a public announcement on any potential transaction, the company will not comment further on this matter,” Brookfield told the Globe and Mail.